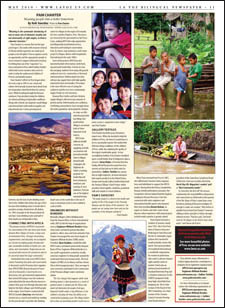 a better tomorrow in Peru. ¡Vea La Voz de Mayo de 2010! Página 1: "Las estampillas de comida para los inmigrantes ¿Sí o no? ¡S¡ se puede! ;"
Página 10: Personaje del mes. Pam Chanter: Tejiendo para un mejor mañana en Peru. Página 14: Inmigración: Diversos cargos criminales pueden conducir a la deportación...inclusive a los residentes permanentes, por Christopher Kerosky. "Si me caso...¿pierdo mis papeles para inmigrar? por Teresa Foster. Página 17: Insectos que se parecen a los mosquitos. 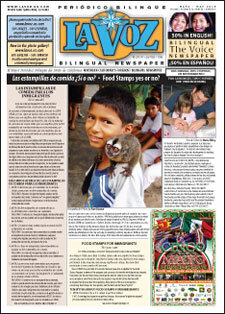 Read the May 2010 issue of La Voz. Page 3: Academic Excellence at Twin Hills School District. Page 5: Igrow Sonoma: creating a garden on every block. 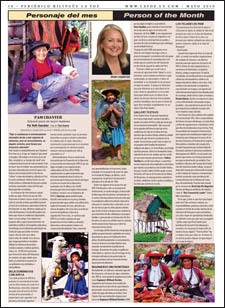 Page 7: Family and Child Care: Foster Mothers. Page 8: Education. "Let's go to kindergarden" by Reina Salgado, Sonoma County Office of Education Parent Education and ads for the Bay Area Discovery Museum discount coupon and Horizon Air. 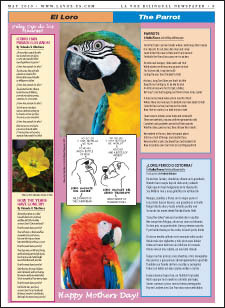 Page 9: A poem about Parrots by Radha Weaver. Page 11: Person of the month. 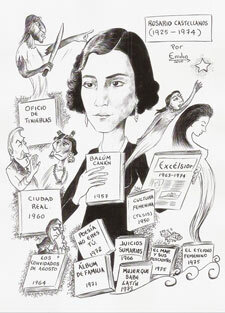 Page 13: Rosario Castellanos, illustration by Emilio Rodríguez Jiménez; story by Ruth A. González. Page 14: Immigration: Criminal charges can lead to deportation... even for US residents, by Christopher Kerosky; and "If I get married... do I lose my immigration papers?" by Teresa Foster. Page 16: Sonoma-Marin Fair, June 23-27, 2010. Page 17: Insects that resemble mosquitos.